What post-colonial gaffes will Boris Johnson make on his next African adventure? Foreign Secretary Boris Johnson is heading back to Africa just 30 days after visiting the Gambia. To mark the occasion, RT revisits some of the gaffe-prone politico’s inglorious slurs, bad taste jokes and culturally insensitive bombshells. 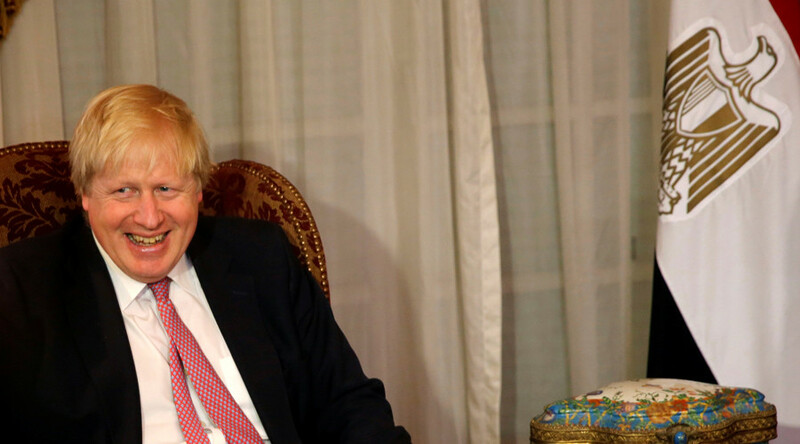 The Foreign Office announced on Tuesday that Johnson will be making a grand tour of a number of African states through March, although it said it could not release specific dates or details at the present time. Spin doctors will no doubt be on hand, ready to jump to the foreign secretary’s rescue when he invariably puts his imperially-nostalgic foot in it. During his February 15 visit to the Gambia, Johnson reportedly refused to answers questions about the UK’s colonial legacy in the country. Not that Johnson can lecture on insults. He referred to the country’s recently removed autocratic leader Yahya Jammeh as a “Jammeh dodger,” in reference to the popular British biscuit. Jammeh had pulled the Gambia out of the Commonwealth of former British colonies, which it is now expected to rejoin. It’s not just the names of leaders Johnson muddles. Johnson’s lack of cultural tact spans beyond the African continent. In 2016 he managed to upset Recep Tayyip Erdogan by coining a limerick about the Turkish president having sexual relations with a goat. Not content with winding up Africans and Turkish leaders, Johnson previously collectively slurred the population of Papua New Guinea as cannibals. “For 10 years we in the Tory party have become used to Papua New Guinea-style orgies of cannibalism and chief-killing and so it is with a happy amazement that we watch as the madness engulfs the Labour Party,” he wrote in a Telegraph column in 2006. In perhaps his most impressive effort to date, Johnson managed to insult the entire Commonwealth in a 2002 column rant about Tony Blair. “What a relief it must be for Blair to get out of England,” he wrote. The term ‘piccaninny’ is a racial slur originating from the Portuguese ‘pequenino’ and meant to describe small children of African descent. Without exact details of where Johnson will go and who he will meet in the forthcoming trip, it remains to be seen precisely which world leaders will fall foul of the blonde bombshell’s next outbursts.